The Lahore High Court (LHC) on Monday recommended a visually impaired lawyer for appointment as a civil judge after his original snubbing — allegedly due to his disability — rankled Chief Justice Mian Saqib Nisar last month, DawnNewsTV reported. On April 24, the chief justice had taken notice of aspiring justice Yousaf Saleem's non-selection for the vacant post after the issue was picked up by the print and electronic media. In a statement, the Supreme Court had observed that Saleem — a gold medalist from the University of Punjab in LLB (Honors) who had also topped 6,500 candidates in a written examination of civil judges conducted by the LHC in 2017 — was not shortlisted for the position due to his visual impairment. In the same statement, Justice Nisar had remarked that a person can hold the post of a judge even if he/she is blind, provided he/she meets all the other qualifications. 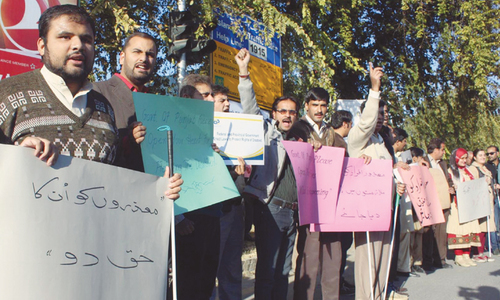 "It appears that in this case his [Saleem's] fundamental rights under Articles 9, 14 and 25 of the Constitution, the provisions of the United Nations Convention on the Rights of Persons with Disabilities (CRPD), ratified by Pakistan in year 2011, the 3 per cent quota under the Disabled Persons (Employment and Rehabilitation) Ordinance, 1981, and the jurisprudence developed by the Lahore High Court in PLD 2017 Lahore 406 and PLD 2017 Lahore 1 were not considered by the Lahore High Court," the statement had pointed out. 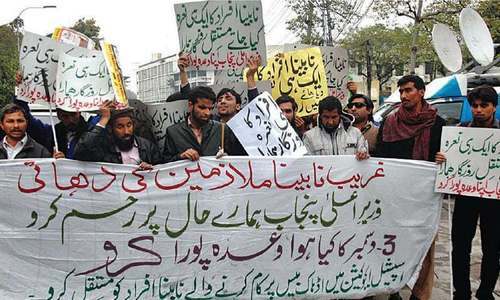 The CJP had referred the matter to the LHC chief justice and a committee of the high court for reconsideration. 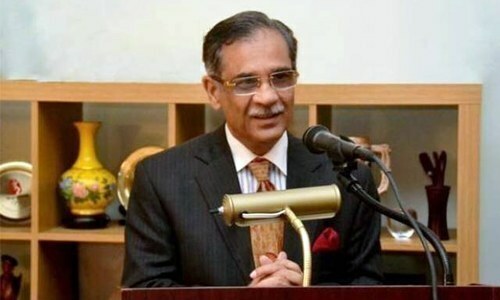 Saleem today confirmed to DawnNewsTV that following the chief justice's intervention, he has received an offer letter from the LHC informing him that he has been recommended for the civil judge's position and instructing him to get his degrees verified, with his appointment now a mere formality. Judicial roles are reading intensive, how will he read? I am not trying to be offense just asking. Great move, he may have a visual disability but he has the professional and academic skills for the job, this is what a true democracy is about, being fair and just. He topped the exam, obviously he can read n write better than others. 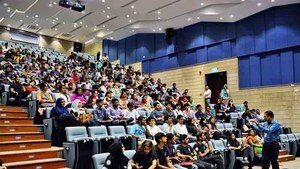 @Shuaib - "who had also topped 6,500 candidates in a written examination of civil judges conducted by the LHC in 2017 — . Does this answers your question? the kind of justice system we have he is a good choice. Judges must be selected through FPSC/PPSB in accordance with the civil servant rules. Practice of selection of judges from lawyers must cease for the sake of justice. @Shuaib how do you think he completed his education? I think he will be an excellent judge. Why can't blind men provide Justice? The part how to read can be translated into many languages or a someone can read it to him. he is a talented man and if you read the articles correctly he was able to attend a written exam and topped out 6500 other candidates. Justice is blind means it doesn't care about how rich you are or what position you hold, justice is served solely based on evidence. @ Shuaib, if he can maintain excellence in studies despite all his limitation, I am very sure that he will deliver a special per expectations. I pray him all the best for his new role! A gold medalist would know his law better than the rest. He needs to hear as a main criteria. @Shuaib Like he read for his Law exam and got gold medal. Please note, he is gold medalist who came first among all candidates in the exams. So how can one question his thinking and judicial abilities ? It is weird that people are questioning how he will read. He came first in exams by either reading (with seeing aids) or braille. I think this is a good example for merit and the fact that ones disability should not be an hindrance, if meeting all requirements. Job well done and all the best to the new judge and the justice system of Pakistan. There are various degrees of visual impairment- in his picture you can see he is using some special glasses which means that he can see in limited/special way. Also, in this modern day and age, those with certain levels of vision impairment can perform tasks such as computer programming. And Finally, the Lawyer in question is qualified. "— a gold medalist from the University of Punjab in LLB (Honors) who had also topped 6,500 candidates in a written examination of civil judges conducted by the LHC in 2017 —"
i guess if he is qualified and isnt completely blind then it is a good step. @Shuaib exams are reading intensive too but he apparently aced them. Bravo Well done ! Justice is blind ! @Shuaib If he could become a lawyer and his blind sister did CSS , what’s the problem ? Well done! This is the right move. Things are finally moving into a good direction. I have feeling this Jude will have exceptional abilities. This is his right, no problem with the disability. He has secured top positions in his exams and has shown his grit. A nation should provide resources to him for his responsibilities. Nowadays reading soft wares are available and he can function like a normal person. @Shuaib He is a qualified judge, does not it also require reading ability? Any simple windows computer also has abilities to what is typed on the computer. Computer can also type for him using text to speak technology. Also no judge works alone. He can have assistant who reads what he cannot. Simply come with positive and supportive mind and you will bring wonders in your and others life. There is noting impossible. @shuaib Would u have the same approach if he is your son, brother, or relative...? Great Job for person deserving on Merit..
@shuaib , why this is bad idea? you could be on his palce too and think? @Shuaib Offensive You have eyes but can't seem to spell". I don't mean to be offensive, just asking. @ Suhaib - Have you ever heard of Braille system? @Shuaib first study if there are judges around the world who are visually impaired or not. @Shuaib - the same way he topped with a gold medal in his LLB! I think it was a wonderful step take by the CJ. Congratulations, this of all days in all these years have made me super happy about my country. Thank you CJ for this - although you should focus on bringing the quality in Justice, a department purely under your own ambit than mingling in Political affairs directly. I couldn't appreciate you more for this. To all others, let them have the braille press built for him (must be cheaper than bullet proofing SUVs of ex office holders of the Pakistani state) , nor is the technology far behind for the visually impaired these days, don't worry, he'd be better than the corrupt justices, READ: he has topped in LLB and Justice exams out of 6500 lawyers. Have courage like this man rather than letting your weak little skepticism in everything that sadly prevail all your (almost most of the educate Pakistani's) thoughts. @Shuaib Just he did his llb and became a gold medalist. when you thought of How can he read, did you take time to google How a blind person can read? we pakistanis are either ignorant or pretend to be ignorant. well done. finally some equity and fairness. @Shuaib Have you heard of braille? He can use it for reading. Lets make history! Pakistan has the courage to utilize all of its shining individuals, regardless of their disabilities. I wish him luck & hope he serves as an example to our entire population who are physically challenged. He definitely motivated me a lot, specially the fact that all his family is so educated inspite of disabilities. Amazing news! This is what you call an equal opportunity employer! Everyone should have the right to any job - failing or succeeding is a different thing altogether. An ability to judge and do justice needs more of a thinking than sight exactly. If the gentlemen have come this far IA he will hold the justice system right! Proud of you! @Shuaib : There is alphabetic writing system called Braille which aids visually impaired people to read the text.